Water rationing, with water distribution points across the city and deliveries to hospitals, old age homes, clinics and schools are among the emergency measures announced by Makana Mayor Mzukisi Mpahlwa at a press conference on Monday 21 January in the Makana Council Chamber. 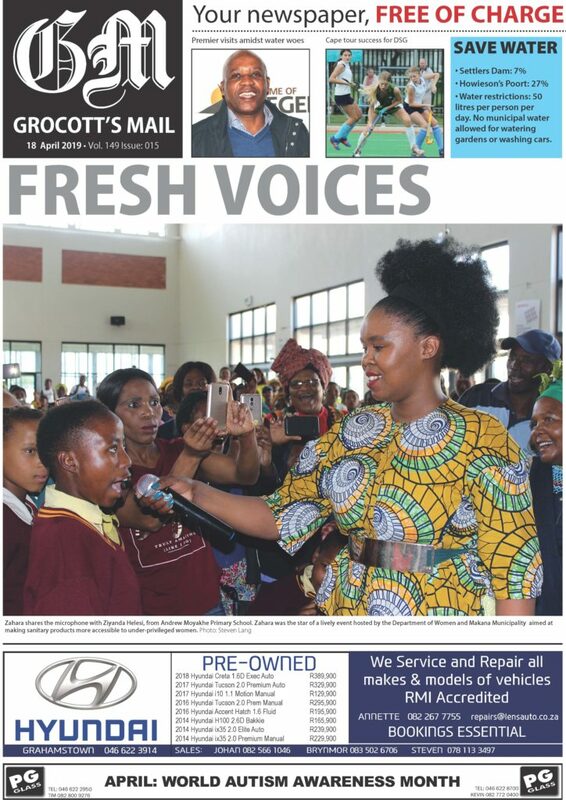 Minister of Water and Sanitation Gugile Nkwinti, in Makhanda (Grahamstown) the next day to be briefed on the water crisis, made it clear he took seriously the impact it would have on the city should its institutions be forced to shut down because of lack of water. Monday’s briefing, broadcast on national television networks, followed a water crisis meeting of some of Makhanda’s (Grahamstown’s) core economic and social entities a week earlier, when a joint operations committee (JOC) was formed to deal with the practical realities of a diminished and interrupted water supply. Settlers, the reservoir for the supply of 8 megalitres a day to areas of the city west of the railway line is currently at 13% of its capacity and experts say the last 10% cannot be pumped. When this point is reached, the 10 megalitres a day supplied by the James Kleynhans water treatment works in the east will be rationed to serve the entire community. Engineers are currently reconfiguring the water system to make this possible. * Water to some parts of the city will be completely shut down as pressure drops. * At this point, water will be manually distributed at designated points, where residents will be able to collect their ration of 25 litres per household. * A shutdown schedule will be made available by 25 January so residents and businesses can plan around the outages. * Water will be delivered to hospitals, old age homes, clinics and schools. 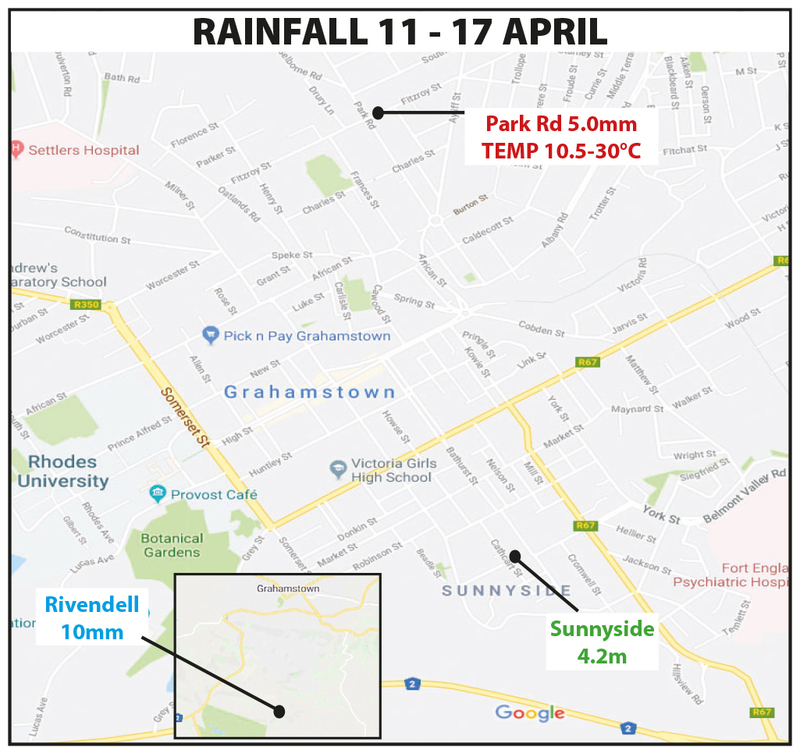 The municipality encouraged those with resources to do so to harvest rainwater, to relieve pressure on the municipal supply. The Mayor stressed, however, that stockpiling water from the municipal supply is illegal – “and also unfair to other residents”. Residents were also called on to harvest grey water from their sinks and basins and re-use it for flushing toilets and watering gardens. The James Kleynhans water treatment works currently supplies the eastern areas of Makhanda with water from the Orange/ Fish River scheme stored in Glen Melville Dam. Upgrades to this facility are under way and are due to be completed in June 2021. This will increase the total supply to 20ML. Minister of Water and Sanitation Gugile Nkwinti was on Tuesday briefed on the water crisis in Makhanda (Grahamstown) by senior officials from Makana Municipality, the Department of Water and Sanitation, Amatola Water, Bosch Projects, MBB Consulting and Rhodes University. Amatola Water is the implementing agent for the upgrade to James Kleynhans water treatment works. Bosch is the contractor. MBB are the engineers contracted to manage demand and repair leaks in Makana currently. Rhodes is Makhanda’s single biggest stakeholder that stands to be affected by prolonged water outages. Of the solutions explored, experts have identifed the James Kleynhans upgrade as the most realistic and affordable solution and the focus is on speeding it up, in addition to the refurbishment of the rising main from Howiesons Poort. We have here many institutions – not just ourselves that we are talking about and Makhanda’s economy relies greatly on those institutions. If those institutions were to close down, the economy here would just collapse. 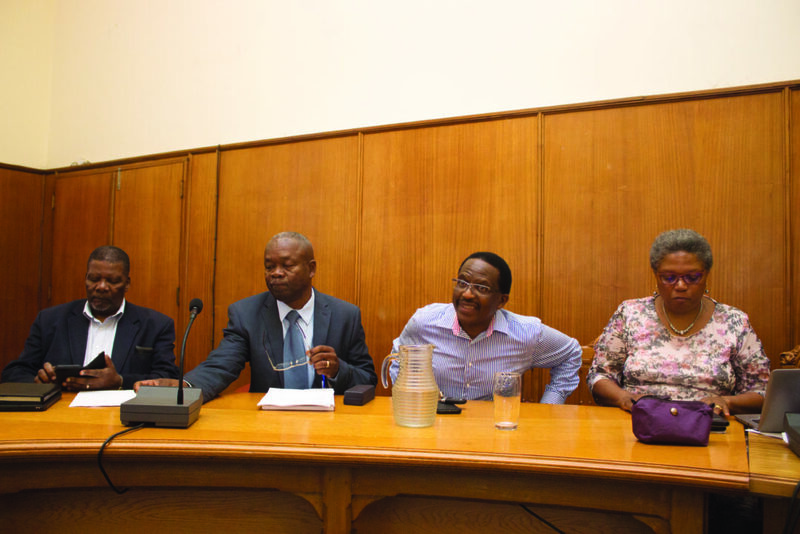 Nkwinti emphasised that he’d assembled a high-powered advisory team and would be meeting with Co-operative Governance Minister Zweli Mkhize to work on a joint plan. He noted vandalism as a serious problem. He spoke about his meeting today (Friday 25 January) with Water Services Authorities across the country to discuss the best use of grant funding. Water distribution, reticulation and waste water treatment works would be on the agenda. “Makana is one of 57 municipalities regarded by Minister Mkhize as in crisis,” he emphasised.